The Marlborough grape harvest is in full swing. Hand harvest is done by teams of Pacific islanders plus folk from Eastern Asia and all the backpackers – they are rapidly working their way through the premium blocks as the nets are lifted, much to the relief of the scattered bird flocks ! Our tours have been able to view both the “hand harvest” and the grape harvesters in full swing. Cold early mornings for the pickers and long hours in the vineyards for the machinery. The Pinot is in, is of outstanding quality and the proud makers of our Methode Traditionelle sparkling wines will probably declare this as a “Vintage” year. Although slightly down on tonnage due to the foul weather a couple of months ago, the Sav. quality is really good and fruitiness will again distinguish our Sav. wine from the rest of the world. Pairing with oysters, scallops and mussels will still dominate the culinary recommendations but at the end of the day, eat the food that you like with the wine varietal that works best for you. We eagerly await the arrival of the 2019 vintages towards the end of the year and our wine tours will have a new range of superb bottles to taste. Let the fun begin ! Companies in other parts of the world run very successful wine tours – why not look them up and maybe join them for a similar wine tasting experience. We are proud to be associated with Slovenia Wine Tours and The Wine Wrangler in Paso Robles. Visitors from Inspirock are welcome to enquire about our tours. British Lions celebrate while they can. The British and Irish Lions are coming ! In less than a year, New Zealand will be swarming with British Lions fans. Of course, the focus of your stay will be the various games of rugby scattered throughout our 2 large islands, but there is lots of time to enjoy yourselves in between games. Our main centers will be overflowing, but places like Marlborough are ready to show the Brits what the true New Zealand is all about. Marlborough is most famous for the vineyards in the surrounding Wairau valley and the dominant product is our world renown Sauvignon Blanc wines. Even the French cannot compete in blind tastings ( a bit like their rugby !). All rugby fans are encouraged to visit Marlborough in between games and where better to base yourselves for the games in Wellington at the end of June. Our accommodation is more affordable than Wellington and we are a 25 minute flight away for the games. Alternatively, the ferry link through the stunning Queen Charlotte Sound, can take hundreds to and from each game. Come and enjoy our hospitality and wine and we even have 2 breweries to cater for the die-hard hops fans. The Jade Owl B and B is ready to join our motels and hotels in offering affordable, comfortable beds for weary British fans, struggling to come to terms with the enormity of the All Black challenge ! Come to Marlborough – spoil yourselves. We have decided on a new type of glass for use on our Wine Tours around Marlborough. Spillage is not allowed and every effort must be made to retrieve every drop for tasting. Sniffing the aromas will be a distinct challenge. When all is lost, some spares will be made available………. 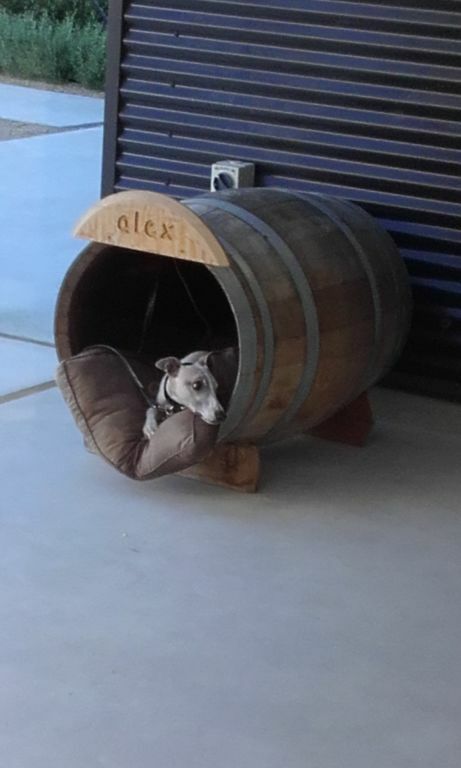 How’s this for Kiwi recycling of wine barrels at Marlborough’s Whitehaven Winery? Wine Flight over Marlborough Wineries. Thank you for forwarding the photos of our day tour with you in Picton. We enjoyed the tour immensely and it was one of the highlights of our cruise. We are glad we took the opportunity of doing this tour with Jade and not through the ship excursions. The Highfield and Framingham wineries were certainly the high points of your tour. The winery where we had lunch was also good. By the time we got to Giesen we were literally “wined-out”. The fact however that you managed to cram six wineries and a visit to the chocolate factory into your tour (against only two on offer by the ships excursions) speaks volumes for your knowledge of the area and wineries to visit, and not to mention that you were a very entertaining tour guide. Wish you and all at Jade Tours continued success. Half way through the winery stops ! LandSAR hovering above the wineries. Jade Tours manager (Mike) is also a member of Marlborough LandSAR. Fully trained and operational so practice getting in and out of helicopters is essential. We recently got the opportunity to familiarize ourselves with the Air Force’s new NH 90’s. Lots of noise, strong winch and incredible views. I almost look forward to the next search callout. 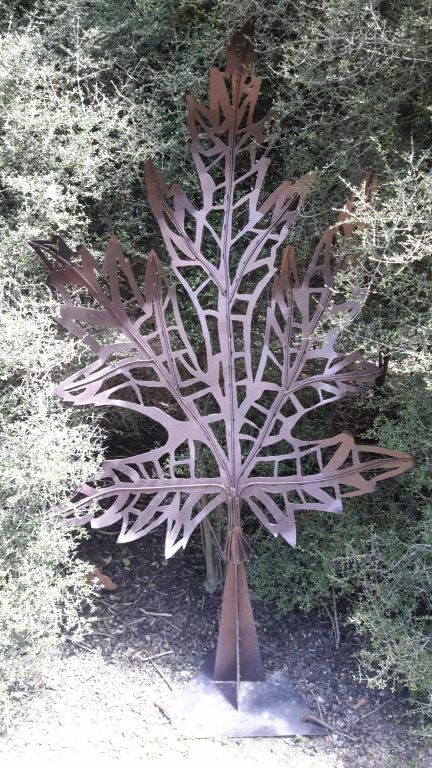 Beautiful sculptured art work found in hidden corners of our own Marlborough Wineries. 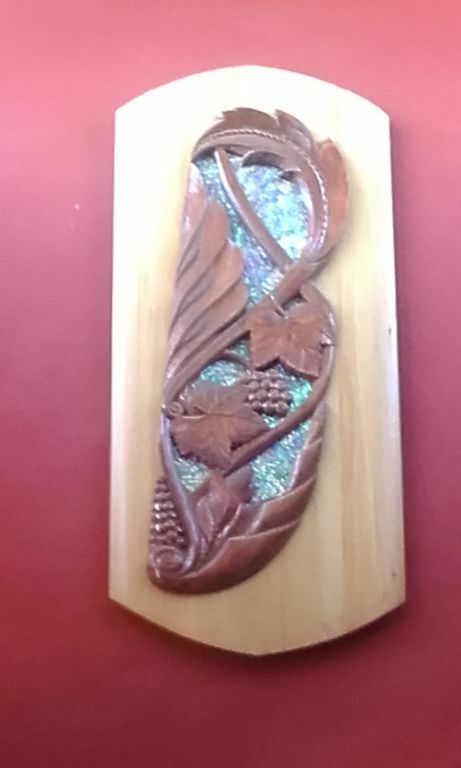 Lovely wall art at Forrest Winery. Garden art at Hunters Winery. 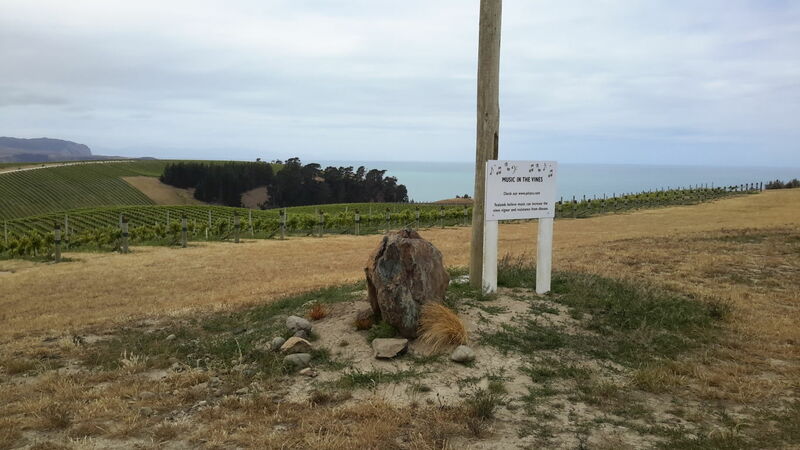 Marlborough Vine Music and Crazy Chickens! 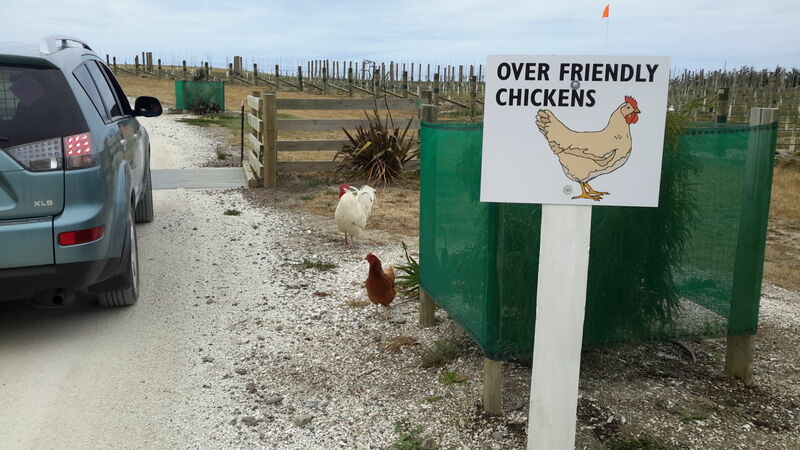 Took a tour to Yealands Estate in December to meet the notorious over friendly chickens and they definitely live up to their reputation. As the car slowed to a halt we were mobbed, on opening the door a chicken hopped in, demanding food and seemingly a day trip out to the party music in the vines! 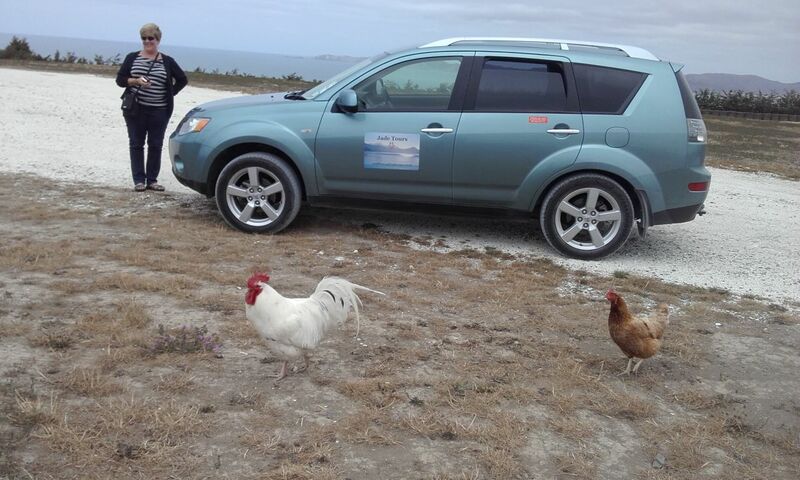 Chooks planning their assault on the car. Wineries’ product hasn’t changed much – in the good old days, energetic people stomped on the grapes to extract the juice and the process continued in large or small oak barrels. Progress has led to mechanisation and steel tanks, but I still like the product. Maybe the steel can impart the taste of sweaty feet !